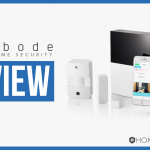 Every company claims to have the most advanced home security devices, but LifeShield is one company that really provides it. So if you are worried you are going to have a home security system from the Triassic Period, you won’t. They want to bring you into the current era, where home security devices are cool and useful. LifeShield also doesn’t want you fussing around with a bunch of wires, which is why their devices connect to your wireless Internet. They want you to have a great home security system that is easy to use and that keeps you and your family safe. You can also be confident that they have everything that you need to protect your home. You won’t end up with a dinosaur when it comes to equipment. Once upon a time, long long ago, LifeShield was known as InGrid. Founded in 2004 by Louis Stilp InGrid was the first iteration of what several years later would become LifeShield. In December of 2009, Michael Hagan decided to leave his position at Nutrisystem and become the CEO of InGrid. He then rebranded the company calling it LifeShield Home Security. LifeShield, along with almost everyone else with a home, believes that everyone should have an affordable home security system. Our lives take place in our house, which means all of the stuff we cherish needs protecting. This includes you, your family, your pet turtle who I assume is named Carlton (I would name my turtle Carlton), and everything you have spent your hard earned money to buy. So there is no reason, zero, nada to not protect the things that mean the most to you. And LifeShield is one way to help you worry less and enjoy yourself more. Which is pretty sweet. If only LifeShield had been around in the Triassic Period, perhaps we would have pet brontosauruses. So other than a pining for a long lost era where dinosaurs freely roamed the earth, what else can LifeShield give you? Quite a bit. The first of which is their three layers of monitoring. Should a sensor trigger an event, you don’t have to wait for help. By using your internet and landline phone, paired with a cellular signal, you will always get help quickly when you need it. The cellular element ensures that even if lose your internet, power or both you can still connect quickly with their monitoring station. Which is pretty nifty. LifeShield has four monitoring packages, so if you need to start small, you can. Another nice thing about LifeShield is that you can manage your home security system using your smartphone, web browser or by using your wireless touchpad. You can use the mobile app to arm and disarm your system. You can also change system codes and manage your video settings and set up alerts. When you add the Fire-Safety Sensor to your LifeShield plan you won’t have to worry when you leave your home. If smoke is detected by your fire-alarm LifeShield will send help. So you can feel safe even when you are away. The sensor will send a signal to the monitoring center when your alarm goes off. It works by listening to your existing smoke and CO detectors. So you all you need to do is add the sensor, you don’t need to replace your current equipment. If you are looking for a wireless camera that doesn’t require any installation, LifeShield can help. All you need to do is find the best location to place your camera and it can be up and functional for you in a matter of minutes. You can also set up times for your camera to record by adding dates and time settings using the app. The app also lets you adjust your camera settings when you are away from home. While you can easily call LifeShield’s customer service and get all of your questions answered, if you are like me you prefer to look up things on your own. Which is why I love, and you should love, all of the awesome tutorial videos on their site. If you don’t like to ask, you don’t have to. 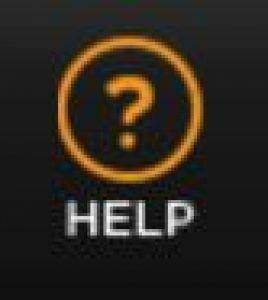 Just click on the help button and you will have access to helpful tutorials and videos. Which is great if you are stubborn like me. And if you still find yourself stuck, you can call an agent between 9am-10pm EST. 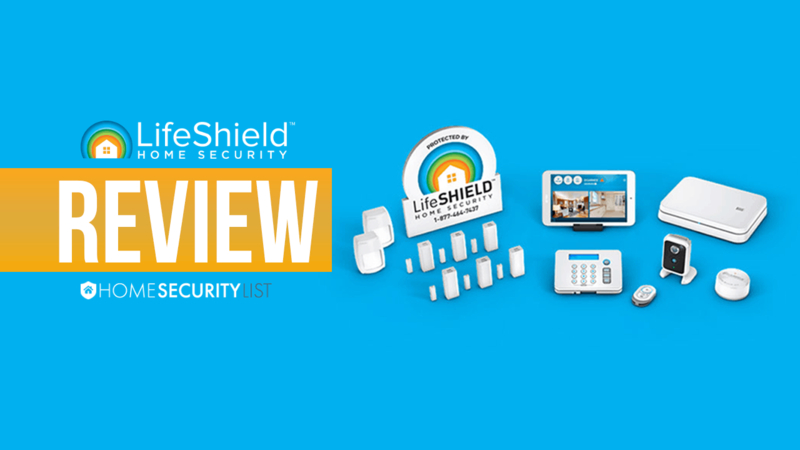 There is a lot to like about LifeShield, so if you are in need of a home security system, they are a good place to start. You also don’t have to buy the equipment, which means you can save money. Here are 5 reasons we think LifeShield is pretty great. One of the biggest reasons we don’t have home security systems is the cost of the equipment. But LifeShield makes all of their devices and they don’t make you buy them upfront. Most house phones rely on a landline connection and usually need to be plugged into a power source. And Wireless connection always relies on power. That is why having a cellular connection is so important. If your power, or phone lines, are down, cellular will still allow you to connect to the LifeSheild monitoring center if you have an emergency. I don’t trust any business who doesn’t have an app. 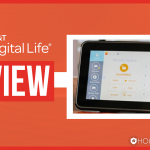 LifeShield not only has an app they have one that lets you control your system. You can adjust camera settings, arm or disarm your alarm and see video clips. Which is great for people who travel all the time. By making their own equipment they can make sure that the devices they provide can work with their system. They can also easily replace or repair any device. 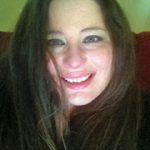 Why does the number of monitoring centers matter? It means that they have taken the time to ensure that your home security isn’t dependent on just one location. If a site should lose power, there are 4 other centers that can back them up. Which means your alarms will always receive a response. By using Internet, Cellular and Landline options you will always be able to connect to the monitoring station should an emergency arise. The Fire Saftey Sensor can protect you even when you aren’t home. They don’t offer any outdoor or garage sensors.